Recent studies on public opinion and natural resources in Argentina reveal some interesting changes in people’s perception and level of interest in this issue. On one hand, we note a greater attention of those who answer questions related to sustainability, the necessity of public control or simply the protection of the environment. As occurs in many Latin American countries, Argentinians seem to be increasingly concerned about the issues that can jeopardize the future of their environment, despite the fact that the alarm-based answers still prevail over the knowledge-based ones. On the other hand, there are still some old prejudices and stereotypes about the role the companies play in the exploitation of natural resources, to which the feeling that the economic benefits associated to these resources never arrive is added. Nowadays, in Argentina, more than 90% of the population consider the protection of the environment “very” and “quite” important (Poliarquía, 2013). This percentage clearly represents people’s degree of concern, even though the majority of people do not probably understand yet what is being discussed, since pollution is a complex phenomenon from a political or social point of view, especially for a significant segment of the general population. This complexity, the concern for the protection of the environment and the fact that several communities are still waiting for answers regarding the economic benefits of the exploitation of natural resources, have made it possible to identify the emergency of a set of answers which we could define as “expectation gestures”: answers that are in the limbo of concern about the future of natural resources, whether in terms of economic benefits or environmental safeguard. These answers are somehow subject or waiting for credible or decipherable explanations. Governments and companies in Argentina (and in the entire region) must offer more and better information about their actions regarding development and sustainability. Recently, another study was conducted about the public opinion on the Argentinians’ level of knowledge regarding Vaca Muerta, one of the fields of non-conventional hydrocarbon resources with highest potential in the world. These “expectation gestures” are clearly shown. After nearly two years of being publicly known, the Vaca Muerta project has entailed a strong overvaluation of the economic benefits it might offer in the short term as well as a lower expectation of its impact on the environment than expected. Although very briefly, we have seen that people could be ignoring the strong environmental impact associated with the possibility of an economic impact caused by Vaca Muerta. At the moment, the expectation about Vaca Muerta is oriented to the economic aspect more than the environmental aspect, although this may change in the coming years. 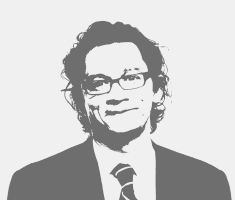 If the economic expectations are not met or even only some of them, the environmental concern will skyrocket even though it can be significantly reduced if the government and companies improve their capacity to prove that they are doing the job properly or at least, that they are doing their best. According to the surveys, 62% of the Argentinians acknowledged to have read or heard about Vaca Muerta. This is a relevant percentage if we take into account that, in general, a field with these characteristics is usually “invisible” for ordinary people. What is more, of this total, half of them claim to know “much” or “enough” about it, while the other half claims to know “very little” about it and only 2% admitted to have “no knowledge” whatsoever about it. The popularity of Vaca Muerta can be understood as a synonym of expectation although it is also a result of other attributes. First of all, there cannot be a better name for a field of this kind. In Latin America these kind of fields are always expected to be named after a Founding Father of the country, a General or a President, although this has not occurred yet and hopefully will not occur in the future. It would be criminal to waste the name Vaca Muerta. On the other hand, its intrinsic attributes are even more important than its name. We are talking about the third non-conventional hydrocarbon reserve in the world with an extent of 30,000 square kilometres, which is equivalent to the size of the Argentinean province of Misiones. If the resource expectations of Vaca Muerta are met, the income obtained by the country will be 20 times its GDP. In fact, from this 62% who know about it, 84% believe the field will have a “big” impact, 47% think the impact will be “quite important”, 37% believe it will be “significant” and only 10% think it will have a “little” impact or “no impact”. Why do so many inhabitants believe that Vaca Muerta can have a “very important” or an “important” economic impact? What do they expect from that impact? On what basis do they respond so decisively? The answers to these questions deserve further study on the people’s opinion about the value, the potential or the magnitude of a field of this type. For now people receive news about its historical importance or the magnitude of this potential source of energy resources. So, when will people start to claim a real implementation instead of all this information they are being given? And next year, when the protests of citizens concerning energy cuts come back, will the expectations created in such a short time about Vaca Muerta appear and will people complain on the basis of what they have heard about the field? It should be recalled that hydrocarbons have the power of attracting protests from teachers, construction trade unions, indigenous communities, environmental organizations, etc. Could the visibility and expectations of Vaca Muerta increase even more these demands? 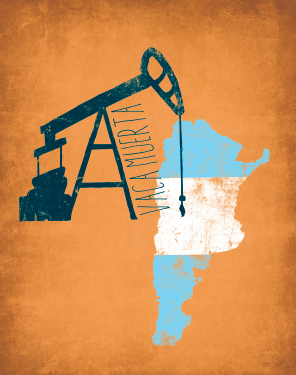 Moreover, as it has been shown in surveys and qualitative studies, in the last decade, most Argentinians wanted the natural resources, whether oil, gas or mining, to be managed by the State. This trend was further increased in the particular case of YPF, a long-established company in Argentina with great influence on the population’s view and expectations about energy supply. In April 2012, after the expropriation of the majority of YPF’s capital stock, which then belonged to Repsol, more than 65% of Argentinians were in favor of the measure and, one month later, this percentage reached 74%. In early 2014, the opinion on the weight of the State in the energy matrix appears to be more moderate, although 51% of the population believes that oil and gas production should be managed by the government and only 10% consider it should be managed by private companies. Nevertheless, 32% of them think this should be a joint action. In addition, the Vaca Muerta operation requires a great capital investment and the current government has acknowledged its difficulties to obtain its own funds which are needed to take the project forward. That is why it has resorted (and will resort even more) to private contributions. In spite of that, 35% of the population believes that the government has enough funds to launch this megaproject. Likewise, the exploitation of non-conventional resources such as those in Vaca Muerta, requires a very specific knowledge and technology. Compared to the United States, Argentina does not have yet the necessary human and technical resources to implement this project with the same advantages in costs and benefits. Nonetheless, 52% of the population thinks the country has enough of these special human and technical resources that Vaca Negra needs. There is no doubt that the influence of both YPF’s (state oil company) tradition and experience in the conventional production and the large amount of national and foreign companies operating in the country, are some of the reasons for this optimism. Likewise, regarding the environmental damage that Vaca Muerta might cause, the situation is quite unusual since, for some reason that should be investigated in depth, the population seems to be giving Vaca Muerta some time and even the benefit of the doubt with regard to the impact it will have on the environment. Perhaps, the fact that Vaca Muerta is being explored by stages makes the population wait for some further information on its impact at the scale production stage. We must nevertheless insist that this issue is too specific for the level of knowledge of the general population. The studies of public opinion show that, contrary to other cases, only half of the population that knew about Vaca Muerta believes that the field will cause a very great deal of damage to the environment. Again, in comparison with other examples of extractive industries, these figures can be considered as “acceptable”, especially if 90% of the country’s population is concerned about the protection of the environment. What is more, 30% of the answers claim that Vaca Muerta will have a “low” impact and only 5% state that it will have no impact at all. In this part, it is interesting to note that 13% of them remain neutral and expectant, “do not know or do not answer”. Even more astonishing were the percentages of answers given about the use of water. As might be expected, 62% of the population states that a great amount of water will be used in the field; 12% notes that amount will be “low” and 3% believes it will not use water. In this regard, it is surprising that, in a case as sensitive as this, only 23% stated that they “do not now and do not answer”, which is something we had not seen yet in other studies conducted on the relation between extractive industries and water resources. Will Vaca Muerta be able to maintain all these figures after it really starts operating? He is an Associate Director of Poliarquía Consultores in charge of the department of Energy, Environment and Natural Resources. He is graduated in History (University of Buenos Aires) and completed a Master’s Degree in Economic History and Development Models (London School of Economics). He was in charge of many different projects on education, governance and sustainable development in the British Council for ten years and, today, he carries out consultancy functions in UNDP and IDB projects as well as teaching projects in several Argentinean universities.